Hello, it’s Jacque with my first official post! I have lived in New York City for a little under a month now and with Grad school not starting for another week, I have done my fair share of exploring. Today I will take you around the city, from the posh galleries of Chelsea to the relaxing outdoor vibe of the Highline. I will share some of my favorite pieces at the Met, introduce an amazing artist & take in some of authentic New York street art. So, here we go. 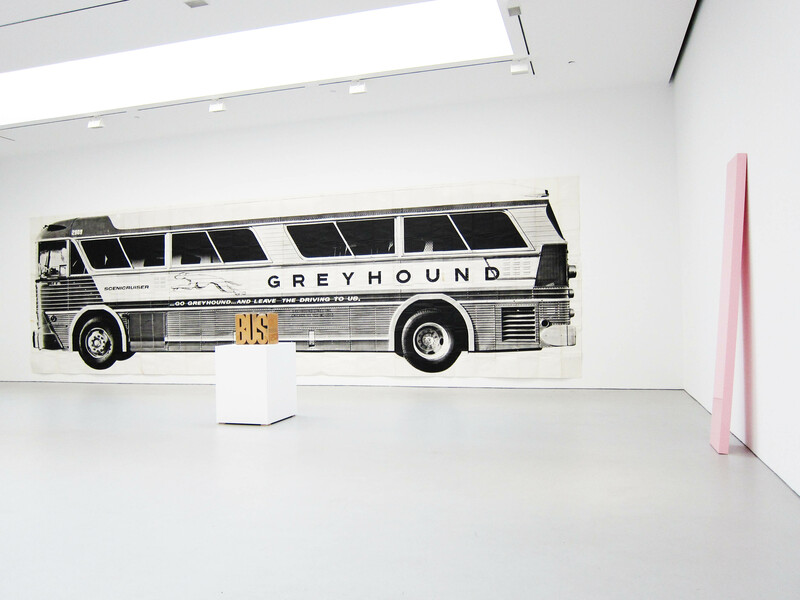 Mason Williams, Bus 1967, at David Zwirner Gallery in Chelsea. Every time I go to the Met I end up staying for hours longer then I expected. The summer On the Roof: Cloud City exhibition, offers a dizzying optical experience, high above Central Park that you can climb into like a jungle gym. 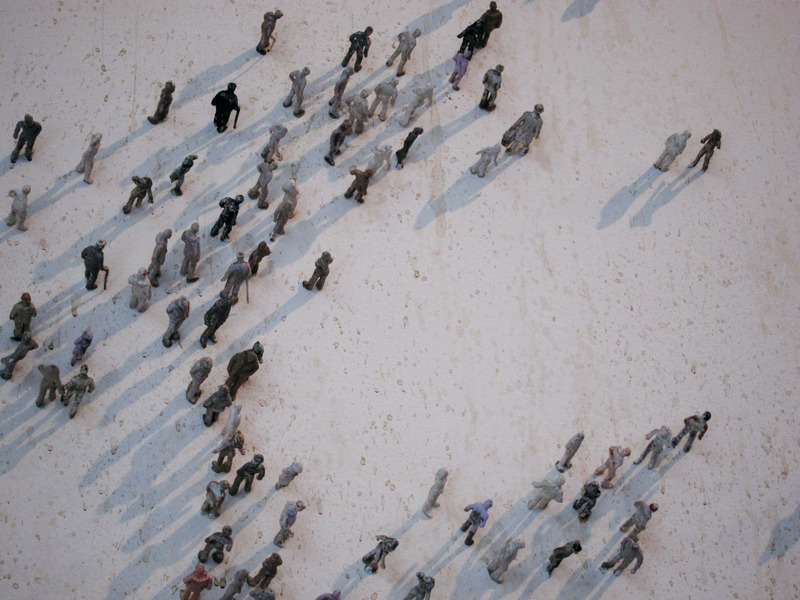 From a distance Clinton de Meneze’s Procession looks like nails on a wall, forming some type of topographical landscape but once approached its revealed that the nails are actually miniature human figures. It’s a powerful piece of migration and impact. 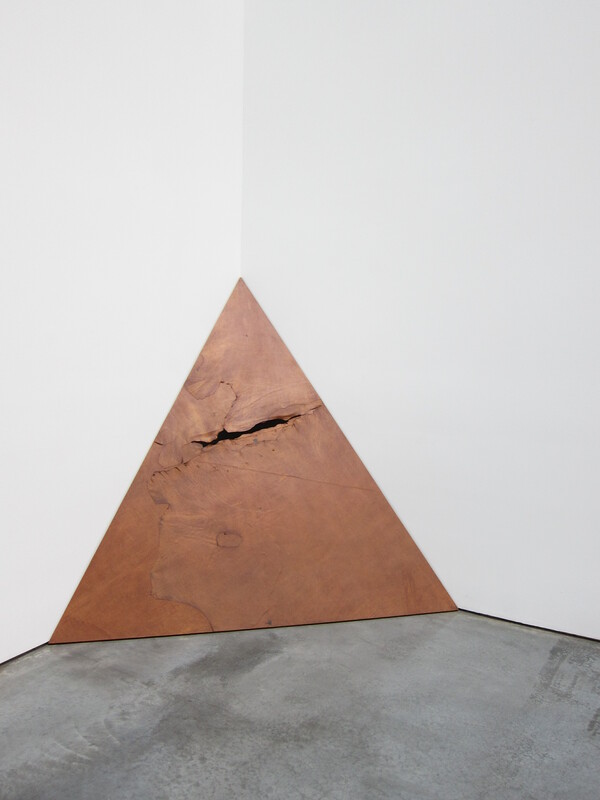 The Contemporary and Modern Art Galleries is belittling. 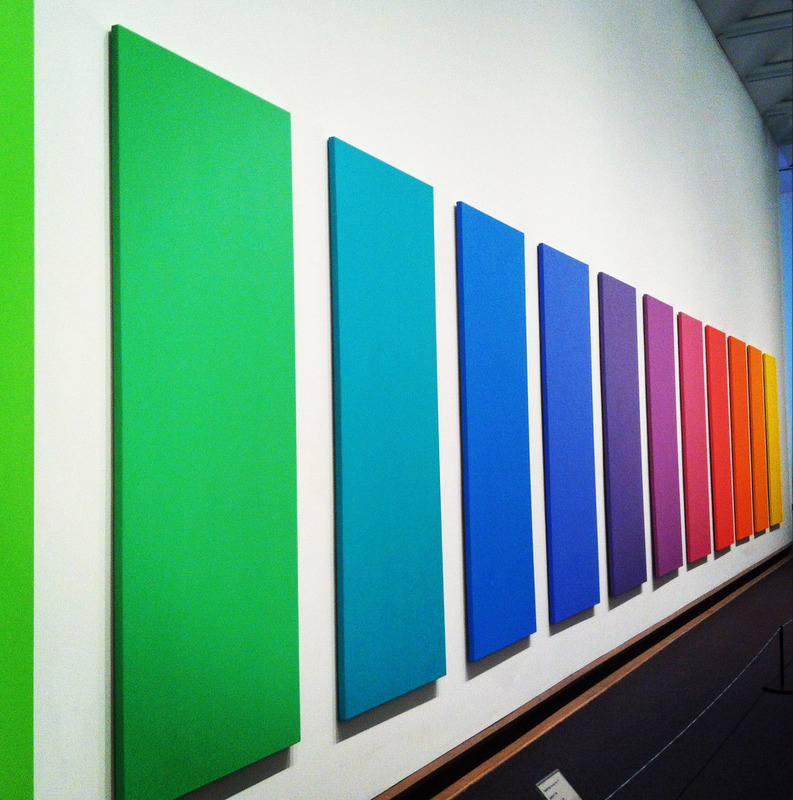 The giant walls hold some of the largest works by all the greatest Modern painters. Jackson Pollock’s huge Autumn Rhythm (Number 30), Andy Warhol’s Mao, numerous Chuck Close’s and the lovely Spectrum V by Ellsworth Kelly. To have so many commanding works in one enormous room, I always start to smaller and smaller, the works inevitably take over all my being. It’s glorious. 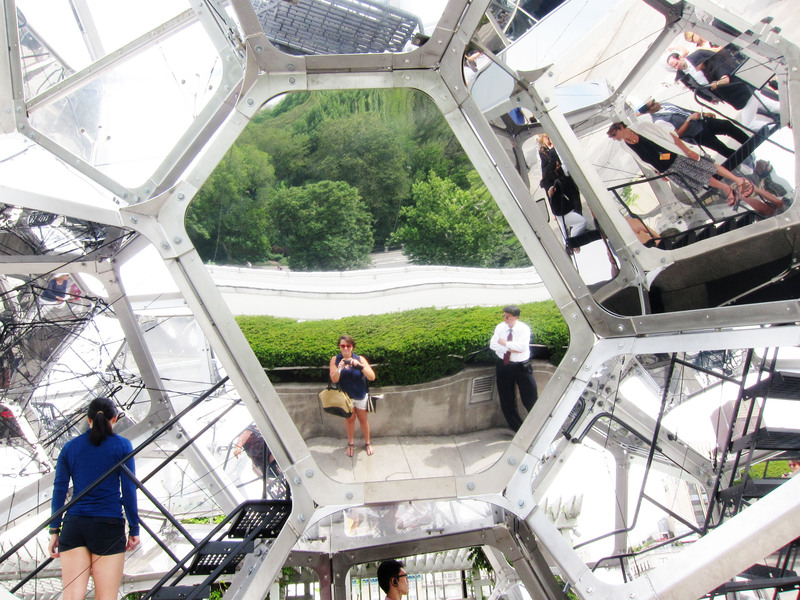 Tomás Saraceno, Cloud City 2012 on the Roof of the Metropolitan Museum of Art. Clinton de Menezes, Procession (Exodus) 2008-2010 @ the Met. The New York Highline is easily my favorite zen spot in the city. The restored railroad tracks offers serene paths lined with wildlife and tons of hidden art and experiences. It’s consistently changing everyday which makes it feel like an actual living organism of the city. 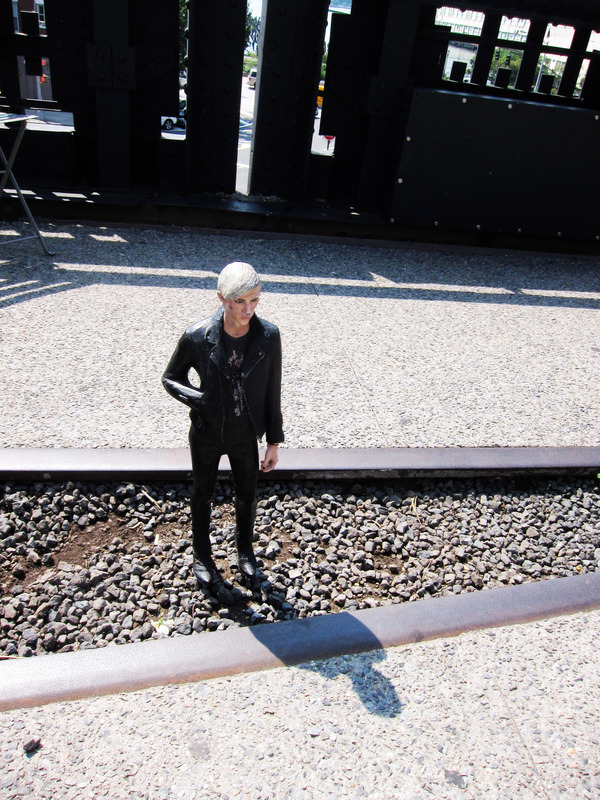 JR on the Highline in NYC, as part of the global Inside Out Project. 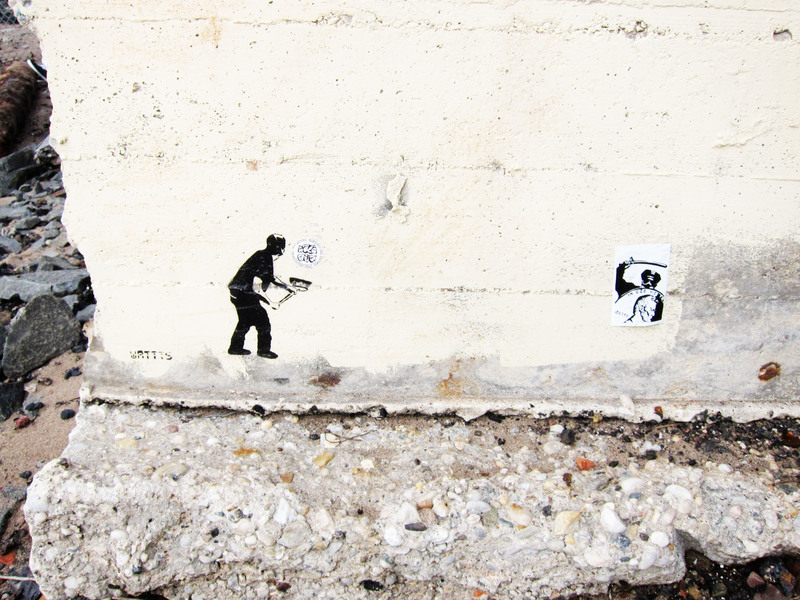 Somedays I choose just to wander the streets exploring the neighborhoods. Nearly every time I leave my apartment I encounter colorful street art and it’s quickly become my favorite part about living here. 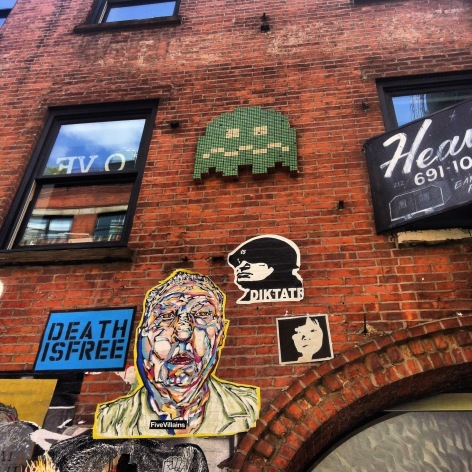 Space Invader Graffiti in Chelsea on 23rd st.
and finally I take you to the Whitney Museum of American Art, where my favorite artist Yayoi Kusama is having her first American Retrospective. For the occasion the Whitney re-installed Fireflies on the Water, a beautiful environmental installation that consists of a square room lined with mirrors. 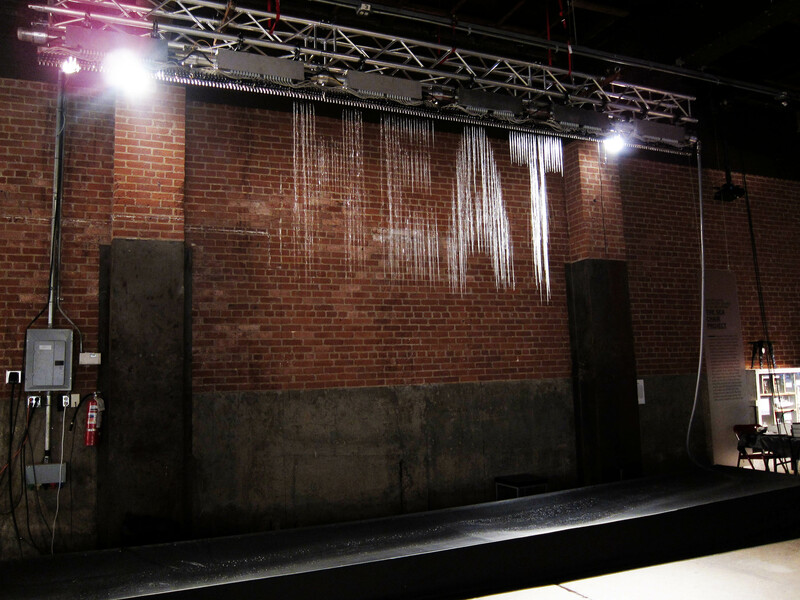 The floor is filled with water, except for a tiny platform and hundreds of LED lights hang from the ceiling reflecting off the mirrors and water creating a wondrous sense of infinity. Only one person is allowed in the room at a time and you get an entire minute to yourself, obliterated by the fireflies. 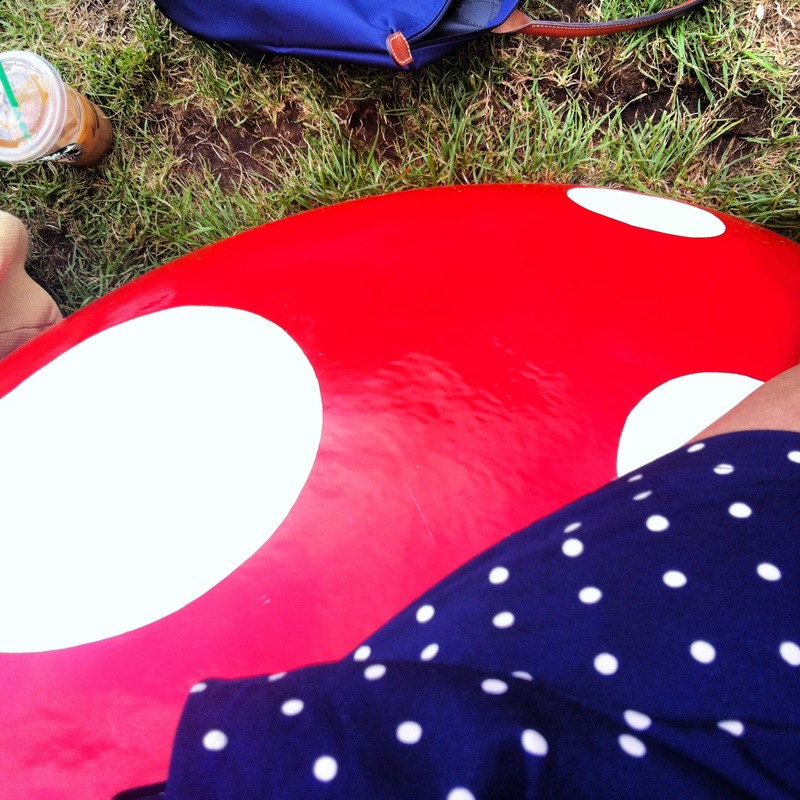 She also has an installation down by Pier 45 of her dot motif that has always invaded her world. 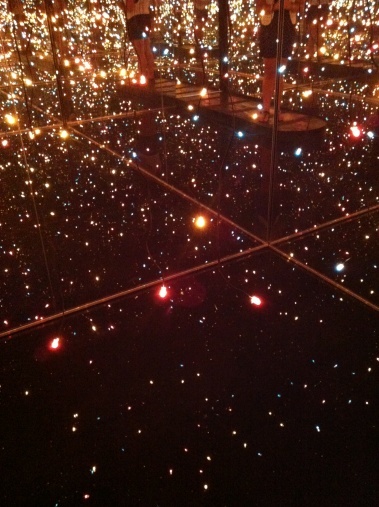 Yayoi Kusama, Fireflies on the Water, 2002 @ the Whitney Museum of American Art. I wore my polka dots for Kusama. That’s it for my tour. I hope you guys enjoyed this little peek of the city. I will be back next week with more art stuff. It is lovely sharing with you guys and I hope you visit me over @ thedreambeing, until we meet again! Just a shoutout, I’ve looked at the photos several times now and enjoyed the tour. 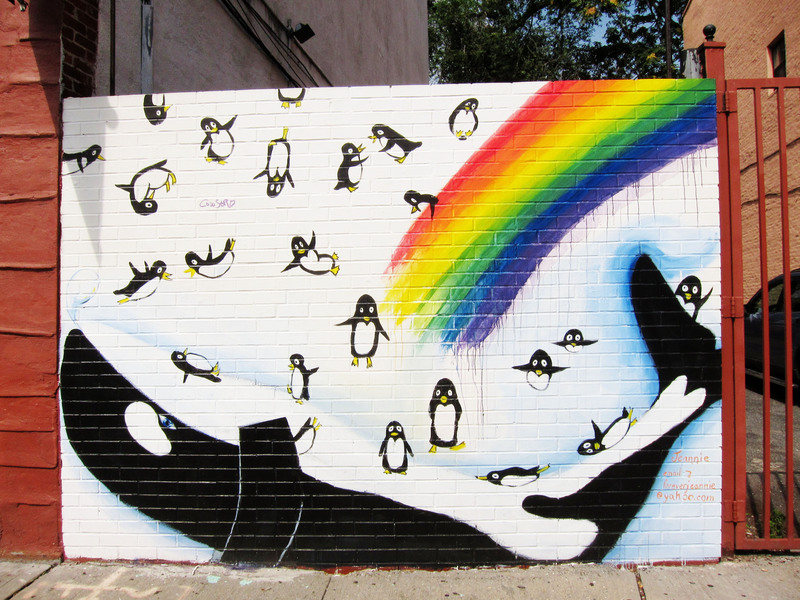 “Graffiti in Chelsea” is outstanding shot! haha, YES! 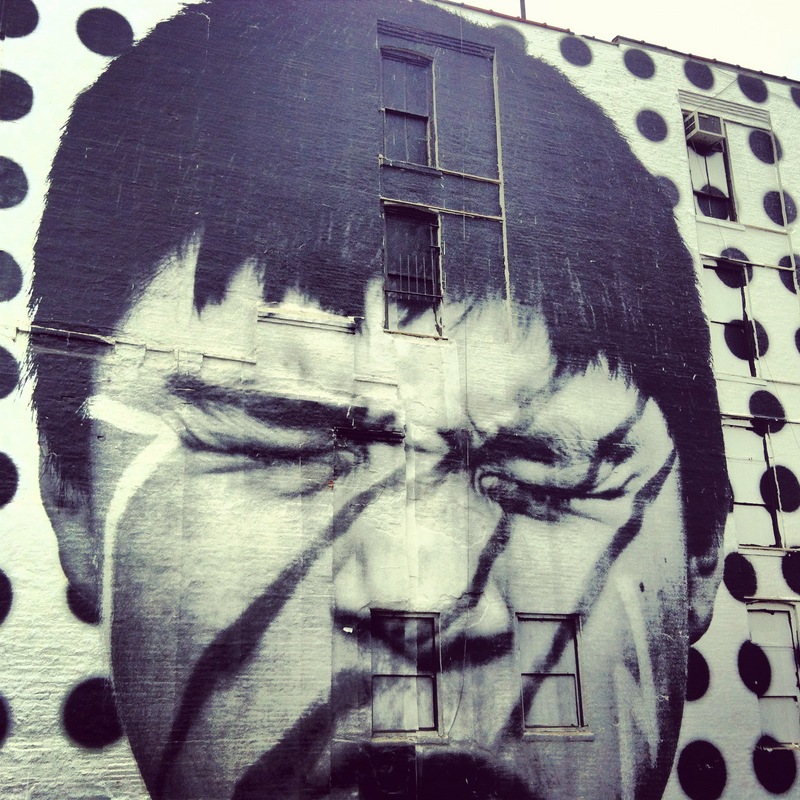 I’m with Yordie, “Graffiti in Chelsea” is such a great image. Many, many amazing things. Funny on the painting front I’m a long time fan of both Ellsworth Kelly and Chuck Close. Kelly, for me, always visceral in its way, and sublime. Close still beautiful and fascinating, but perhaps with a little less lustre after he his lawsuit threats at Scott Blake. Cloud City – wowww! Incredible. I love the photo, but no doubt the being-there experience is more powerful. Yes, of course, to Bit Fall. 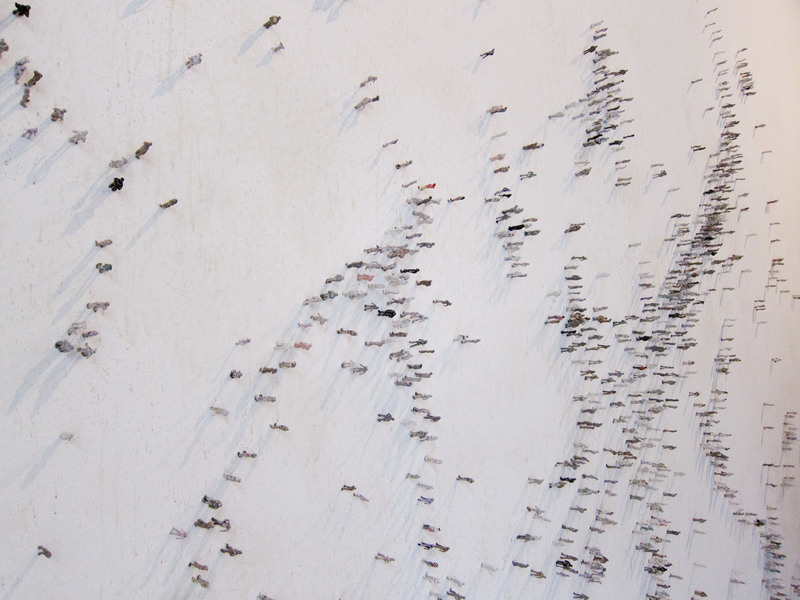 And the Lilliput piece, gorgeous – I’d probably stare at it forever if I was there. And grad school starts in a week!? Please keep us posted! I’d love to hear what you’re working on / thinking about, and how it’s going.